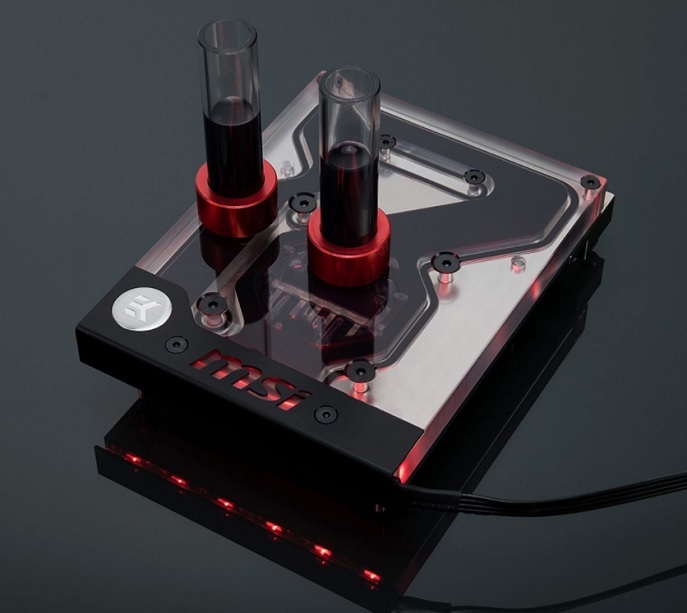 This week, the Slovenian based liquid cooling manufacturer, EKWB (EK Water Blocks) released a new monoblock which is custom made for specific MSI X299 motherboards, and named the EK-FB MSI X299 Gaming Pro Carbon RGB Monoblock. MSI claims this solution provides up to 30% cooler VRM and CPU temperatures as measured at the back of the PCB. It has a built-in 4-pin RGB LED strip compatible with MSI’s Mystic Light software in order to customize the lighting experience. Based on the EK-Supremacy Evo cooling engine, EK states it has a high flow design and can be used in systems running a weaker pump. 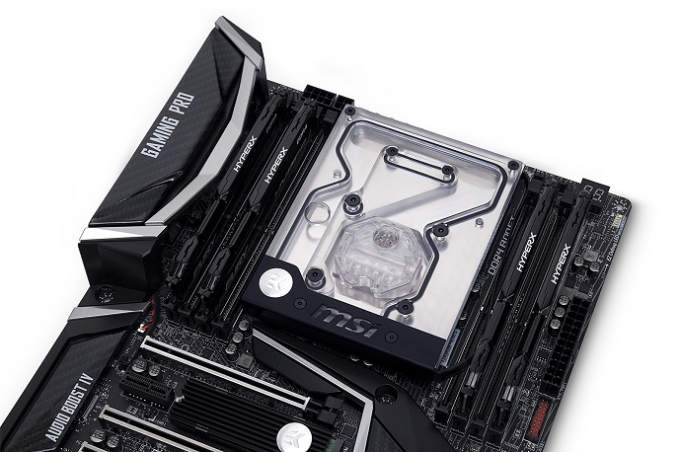 The EK-FB MSI X299 Gaming Pro Carbon Monoblock directly cools Intel LGA2066 socket CPUs as well as the potentially hot running VRM area on many X299 boards. It does so with direct contact on the both the CPU and MOSFETs with liquid flowing directly over those critical parts inside the block. Sparing little expense, the base is made out of nickel-plated electrolytic copper, with the top constructed of acrylic glass. 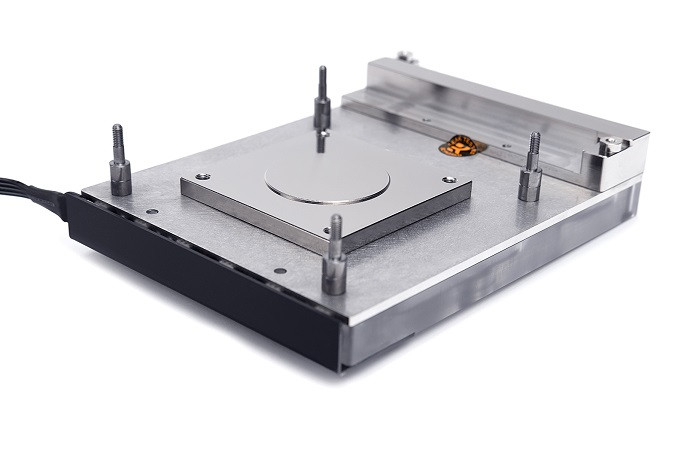 According to MSI, the cold plate portion of the block has been redesigned to ensure it “…has better mechanical contact with the IHS…thus enabling better thermal transfer”. An example of this is the raised circle where the CPU IHS would be pressed against (see picture below). The required barbs are the common G 1/4" type. The included 4-pin RGB LED strip connects to the motherboard’s 4-pin RGB LED header, or to other 3rd party 4-pin LED controllers. The LED strip cover can be removed and replaced with another compatible RGB LED strip, or flipped around for better cable management, orientation, and aesthetics. The EK-FB MSI X299 Gaming Pro Carbon RGB Monoblock is available for pre-order now through the EK Webshop and its Partner Reseller Network. Pricing, including VAT, will be 119.95€. EK says shipping of the pre orders will start on Thursday, July 27th.